Yep, the Big Kahuna. 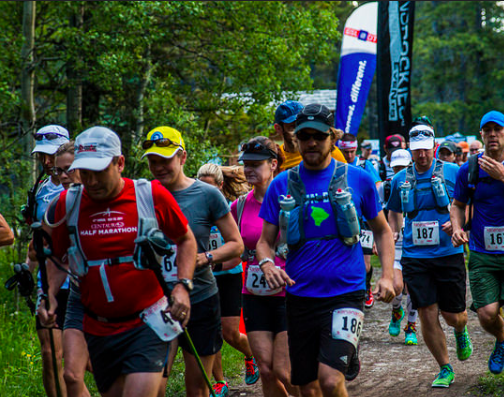 This is an Alberta favourite, a classic, the one that started it all and a ‘must-do’ for any trail runner. 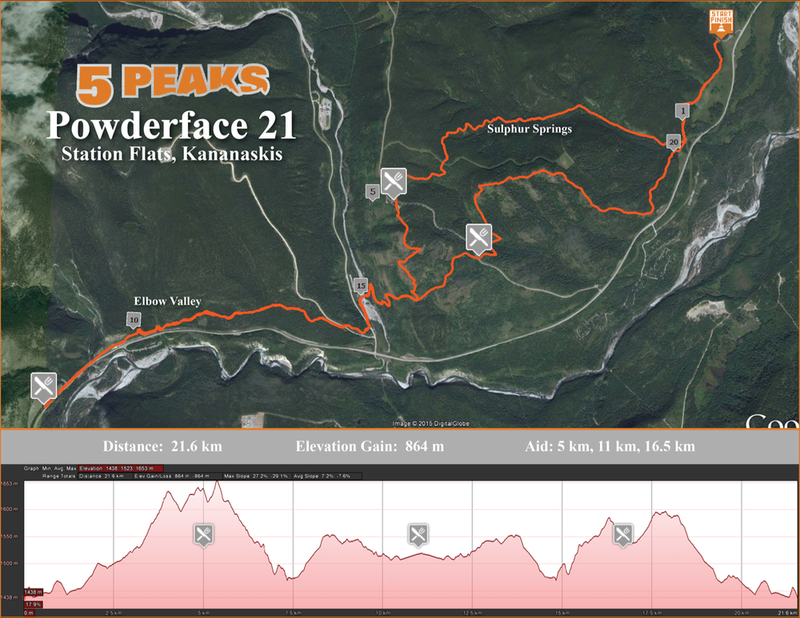 The Powderface 42 serves up 44.4km (bonus!) and 1671m of elevation gain on some wickedly beautiful K-Country singletrack. We're going back to the classic format and offering up a half marathon distance as well. There are only 150 spots total so we suggest you register early before it sells out! Kananaskis is bear country! As such we strongly recommend you carry bear spray. Scatbelt offers comfortable belts that offer quick access to your bear spray. Trails: Powderface and Prairie Creek. Directions to Start: From Calgary to the Station Flats Parking lot HERE. Both the marathon and half marathon are the same price: $135 plus GST and registration fees. If you'd like to have a drop bag on course for you, we can place these for you at the aid stations/ check points. Please label your bags with your name and which check point you would like it placed at. Post race snacks including pie. Wait what? Yes, pie! In addition to our usual post race spread, we'll have a variety of high calorie pies to help you refuel! Well marked routes and gorgeous views! WE ARE PROUDLY A CUP-FREE EVENT! For all races and events, please bring your own reusable cup/container/ water belt or hydration pack. Thank-you for being a part of our commitment to the environment! Water vessel that can be filled at aid stations. Spectators: Parking is limited so be sure to arrive early and please carpool! Package Pickup: Race morning only as schedule above.